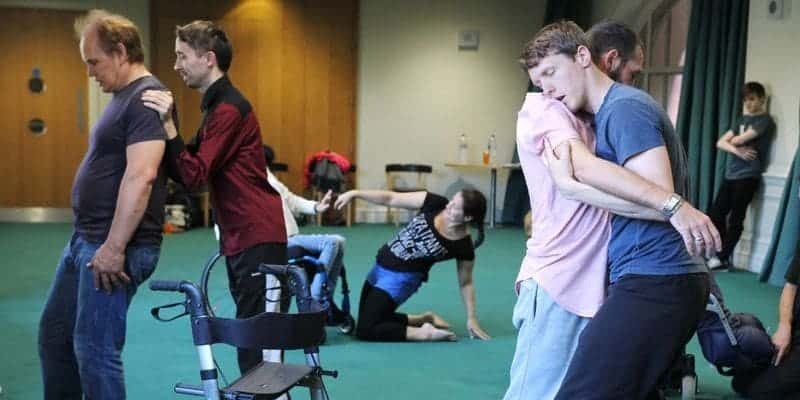 Actors Exchange is a developing new strand of work which has begun in direct response to a recognised sector need - supporting people who are experiencing barriers to accessing quality acting training and skills development, especially from a D/deaf, disabled, ethnic and socio-economic background. On 14 Feb 2019, as part of our ongoing artist development work specifically for actors, we ran our first Open Exchange open auditions. Artistic Director Sarah Frankcom and Associate Artistic Director Bryony Shanahan saw 30 actors over the afternoon, which was a fantastic and informal way of meeting new people. Last year we employed over 200 actors across our stages and script development workshops and whilst the Open Auditions are not designed with a particular production or role in mind, they are a brilliant way for us to widen our knowledge of local actors with a view to finding the right people for future opportunities. PLEASE NOTE THAT THIS OPPORTUNITY HAS NOW CLOSED. In Spring of 2018, the Royal Exchange Theatre will be the regional partner of ALT. (Actors Learning Training). ALT. is a unique opportunity for a nation-wide scheme supporting first time participants in theatres from disadvantaged backgrounds across the UK. This scheme brings a cohort of 10 young people from low-income backgrounds, with a priority to BAME ethnicity, to experience actor training in a risk-free and supportive environment for the first time. Actors can also join the Open Exchange network to access workshops or developmental opportunities to collaborate with other artists, directors and theatre-makers.